Authentic CCell cartridges custom made for Critical Source. The ceramic coil provides an even heat distribution for a full flavor smoke every time. Terpene Label with Hand-drawn images on the back for easy identification. American made from heat resistant, borosilicate glass, safe to dab directly onto a hot nail, twax a joint or top off a bowl of your favorite flower. 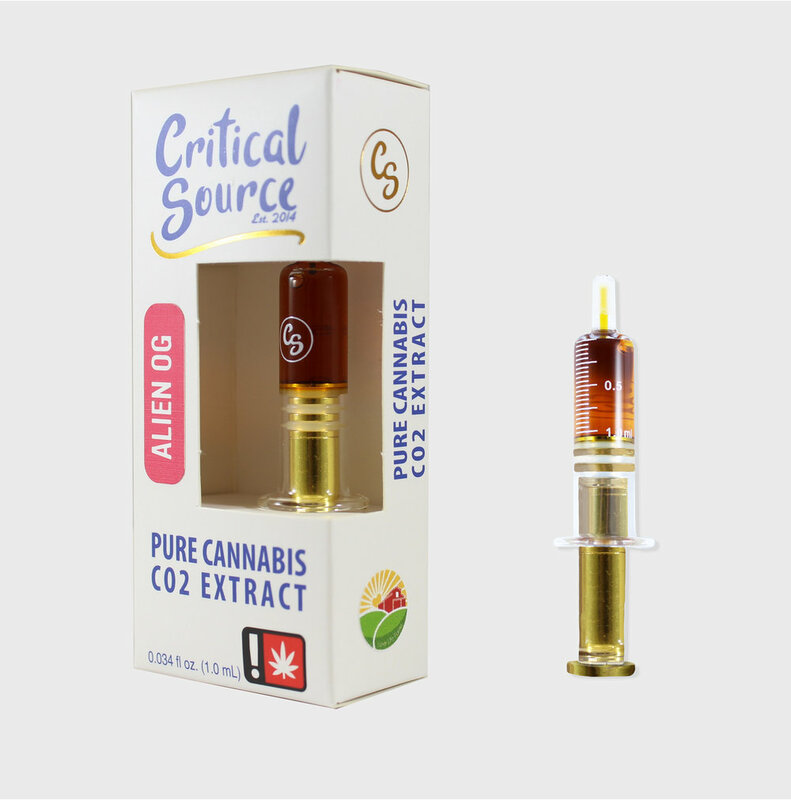 Packaged into cartridges that have a sleek and stylish clear tip and a ceramic coil providing an even heat distribution for amazing flavor and intense smoke. 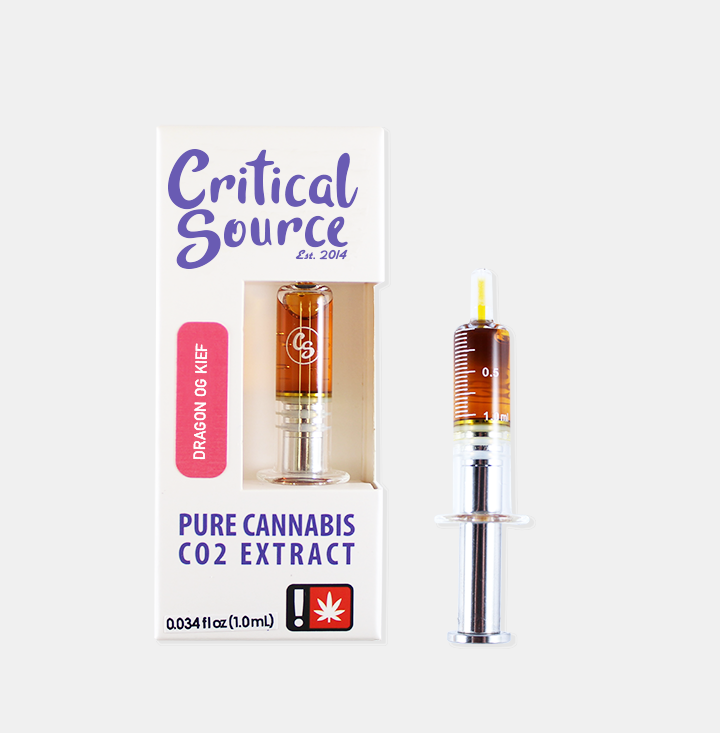 100% pure cannabis CO2 extracts are single-origin, full spectrum and made from the whole plant with no hydrocarbons, artificial terpenes, flavorings, or additives. All glass, stainless steel, and a ceramic coil for even heat distribution and a full flavor smoke every time. A ceramic tip for cool and substantial mouth feel.